Laboratory of Materials Morphology and Structure Investigations (MMoSt Lab) is located in Riga (Latvia). Latvia is one of the Baltic countries with the territory 63700 km2 and about 2 million population. About 1 million residents live in the capital city - Riga. Take a tram number "7" or "9" from the city center in the direction of the trade center "Dole". It takes about 20-30 minutes to arrive to the tram stop "Kengaraga": go out and follow the Kengaraga street in the direction of the Daugava river bank. 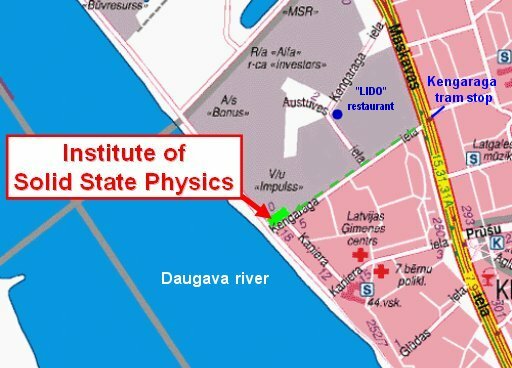 In 5 minutes of walk, you will arrive to the river bank and find the Institute of Solid State Physics (ISSP) building (Kengaraga 8) at the right. You can get the location of the Institute in Riga using these two maps: general map and detailed map. 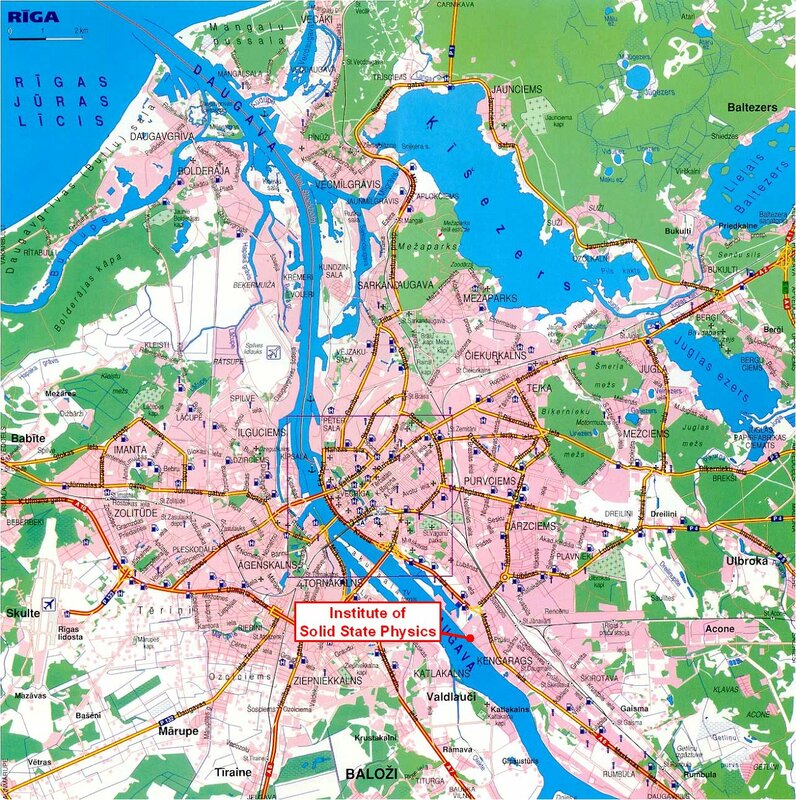 A detailed map of Riga with the street search engine is available here.